I have come across an awesome program called "Foodie Pen Pals". When I read more information about the program I was instantly drawn in. I thought it would be fun to do something I have never done before. 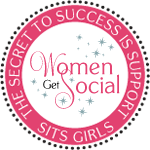 I have come across so many amazing opportunities, communities, people, and programs such as Foodie Pen Pals since I started blogging. 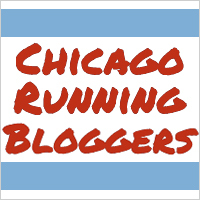 I thought it would be an amazing opportunity to meet other bloggers, form new friendships, connections, and try new foods I have never tried before or even thought about trying. I thought I'd give this program a try and participate. 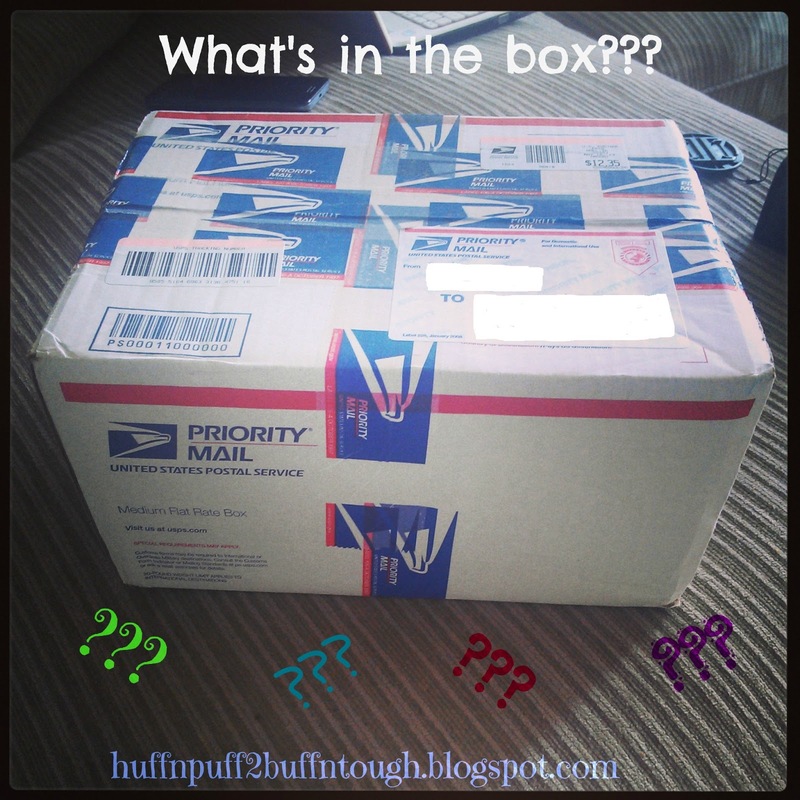 How does it work: You get matched up with another person to send them a box of goodies with a $15 limit. You won't receive a box from the same person you are sending a box to. Someone else will be matched up to you to send you a box. I will post more information at the bottom of this post. Now that you are a little more familiar, let's get to the fun stuff!!!!! 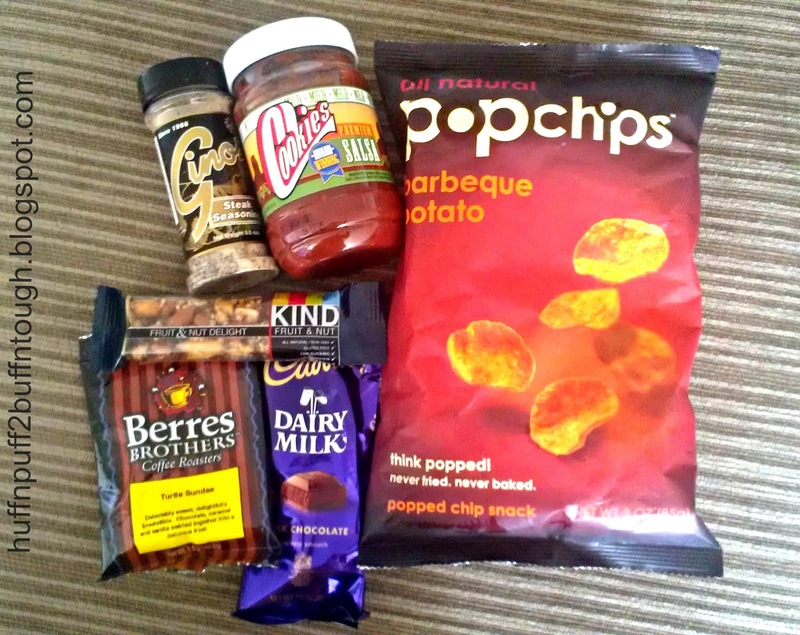 My very first Foodie Pen Pal box came from Alex at Alex Tries It Out. I loved everything I received! She hit the spot with the items she choose for me. 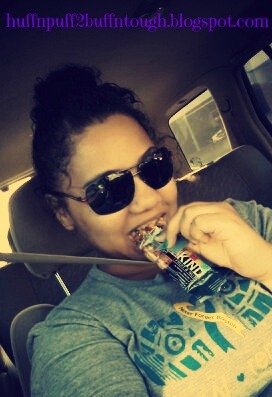 The Kind Fruit & Nut bar was pretty good. Even though I prefer other brands of granola bars, this one was still pretty yummy. I am in LOVE with the Ginos Steak Seasoning. I have been using it on all of the boneless skinless chicken I have been making lately. I am absolutely in LOVE with the Popchips!!!!! They make a great snack, for me anyways. Only 120 calories for 28g/about 20 chips, 4g of fat. I have not been able to try the coffee roasters yet so I really can't say too much about those. The chocolate was delish and my husband really loved the chocolate! The Cookies salsa made a nice touch to the nachos my husband and I made. Probably some of the best salsa I have tasted so far. My husband said, "I have never heard of Cookie's Salsa and where is she getting all this good stuff with low calories?!" Lol!! Anyways.... Thank you so much Alex for my box. I really enjoyed everything. 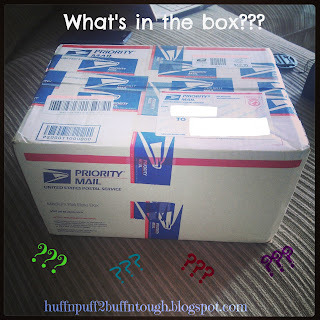 To find out who I sent a box to and what I included check out Lauren's blog! Can't wait for next month's Foodie Pen Pals! You can click on the banner at the top of this post for more info.